Here at Nottinghamshire Indymedia Towers, we are also experimenting with Twitter. Again, most useful for RSS notifications. txt to +447624801423 <FOLLOW nottsindymedia> from other & international mobile phones. To stop receiving texts, send <LEAVE nottsindymedia> or <OFF> to stop all notifications. Send <FOLLOW nottsindymedia> to shortcode 86444 from Vodafone mobile phone. If you don’t have a suitable mobile, able to take advantage of these services, simply go to http://twitter.com where you can still follow events on the internet. Well, none of us are putting 140 characters [like an sms] into twitter “what are you doing?” Well not yet, anyway. But it is an interesting method of doing urgent and breaking news I think. Using the RSS feeds from these site, Twitter will notify you about the latest entry on them. Although RSS feeds and feedreader can do this of course, Twitter is a little ‘richer’ in its application. Further, if you are a Vodafone user in the UK, it will send an SMS alert to your mobile, if you want it. txt to +447624801423 <FOLLOW tashuk> from other & international mobile phones. To stop receiving texts, send <LEAVE tashuk > or <OFF> to stop all notifications. Send <FOLLOW tashuk> to shortcode 86444 from Vodafone mobile phone. NG7 6ER. [between ASDA and the Noel Street flats]. 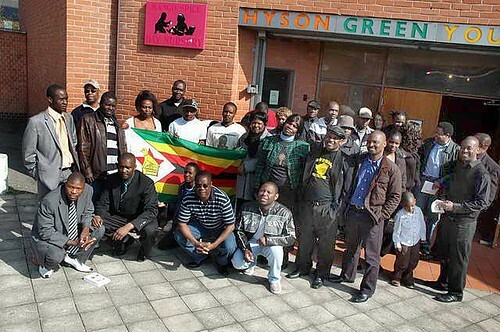 The NZCN (Nottingham Zimbabwe Community Network) organized and hosted the national Death of Democracy event in Nottingham. 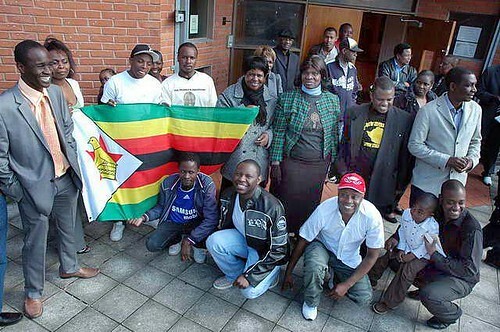 Most attendees dressed in black to remember and honour the hundreds of Zimbabweans who have been murdered during the MDC’s struggle for democracy. Delicious food and great music celebrated the lives of those who have been and continue to be committed to democracy. Guest speakers included MDC activists still working and striving towards a new, free and safe Zimbabwe, having lost friends and fellow activists to Robert Mugabe’s murderous militia through their political struggle. 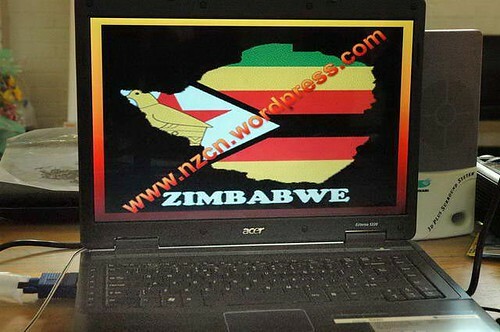 In spite of the power sharing deal Mugabe’s hired thugs continue to terrorise and brutalise MDC members, supporters and innocent people, including young children, in a continuing attempt to defeat the MDC through a murderous campaign. MDC members and supporters still risk their lives in opposition to Mugabe’s dictatorship. SADC and the wider international community have come forth with a reprimand of political rhetoric but little action and continue to stand idly by as Mugabe’s illegal government maims, rapes, tortures and kills. Who watches the watchers? Why not you?! 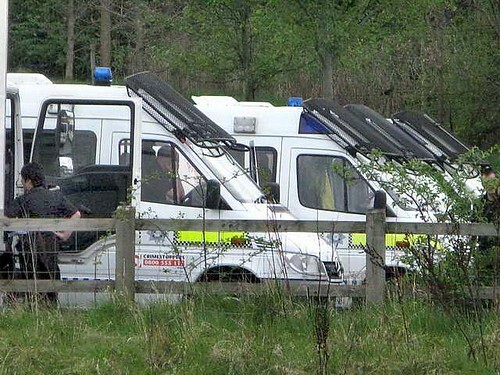 “There’s only one motive for a police officer disguising his identity and that’s because he thinks he’s going to be doing something reprehensible.” – Chris Huhne, the Liberal Democrat home affairs spokesman, said his party was given a guarantee by senior officers after clashes with climate change protesters at Kingsnorth power station in Kent – where there were also complaints of police disguising their identity – that there would be no repeat of such tactics at the G20 protests. This is bound to continue. The solution is in our hands. It is called FITwatching. So how do you FITwatch? I will list a few of my own ideas and hope that others will add ideas of their own. We need a plan and this seems like as good a way as any to thrash one out. It’s a good idea to work in pairs. Lets call it a Buddy system. That way you will have support if you run into trouble. You should attempt to keep in each others sight if there is any risk of interacting with the police. You will need a digital camera or cameraphone. It needn’t be expensive. I have seen plenty of suitable new equipment on sale for under £30. Ideally it should have a removable memory card. It should be capable of capturing video and sound. You should consider carrying a spare memory card and batteries. If you use a cameraphone it may be worth uploading some of the photos as you take them. This prevents them being taken from you should someone fancy attempting to pervert the course of justice! 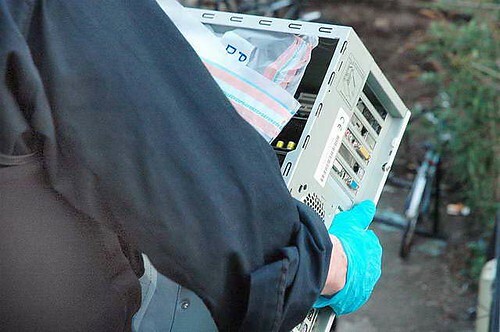 You should think about how you will preserve your evidence as if the police plan to behave reprehensibly this may include an attempt to destroy your evidence. Finally, test your equipment. Do a dry run. Make sure you understand how to change batteries, switch from pictures to video, upload and copy photos etc. It is not a good idea to be in the middle of a confrontation wishing you had read the instructions! It’s worth taking a note book with you along with 2 working pens. Use it to make a note of times, locations, events, identities, witnesses, contact details ect. Make sure that watches, internal camera clocks, are set to the correct time and make a note of when you do this in your notebook before you set off. First of all you are looking for police who cannot easily be identified. This process should start as the police arrive. If you photograph who arrives with who this will aid identification later by the Press/IPCC, should it be necessary. These ‘group’ shots can be taken from 20 metres, or more, from the group. 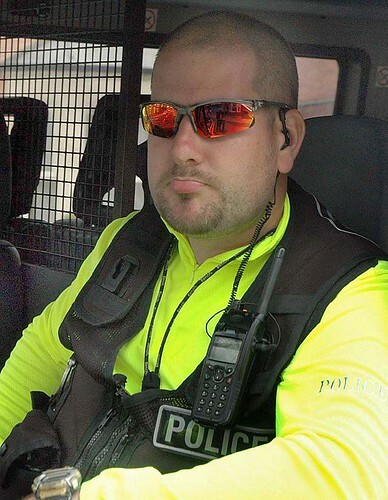 You should attempt to get a couple of ‘face’ shots on any individual police who do not display identification. It might be worth asking politely who they are. One of you could do this whilst your buddy discreetly films the question and answer. If there is trouble then you should aim to capture video. It’s a good idea to keep the camera running and pointing at the police. If enough cameras are running any misbehaviour will be caught. You don’t need to be, and ideally you should not be, in the front line. Ideally try and find a vantage point and film from there. Always keep in sight of your Buddy. What to do after the event. Include a note telling them what they are looking at and include times, locations and any other details you feel may help. You will find your written notes useful when doing this. It’s a good idea to get advice before putting pictures/video into the public domain. You could post any questions on indymedia if you can’t find the answer elsewhere. Bear in mind that Fitwatch are an autonomous group of unpaid volunteers who are insanely busy. Do not trouble them with questions that could be answered elsewhere. I have a feeling that if we all do this we will experience a rapid improvement in police behaviour. After all, no one wants a criminal record! It is believed that a demonstration was planned at the E.On powerstation at Ratcliffe-on-Soar as a spokesperson for the company claimed that it was the “planned target of an organised protest”. The Ratcliffe-on-Soar coal-fired power station is the 3rd largest source of carbon dioxide emissions in the UK and has been previously targeted by activists. Similar to past police actions, some of the homes of those arrested have been raided while they were held in custody. It has been confirmed that 6 homes have been raided in Nottingham, including the Sumac Centre, and personal paperwork and computers have been seized. 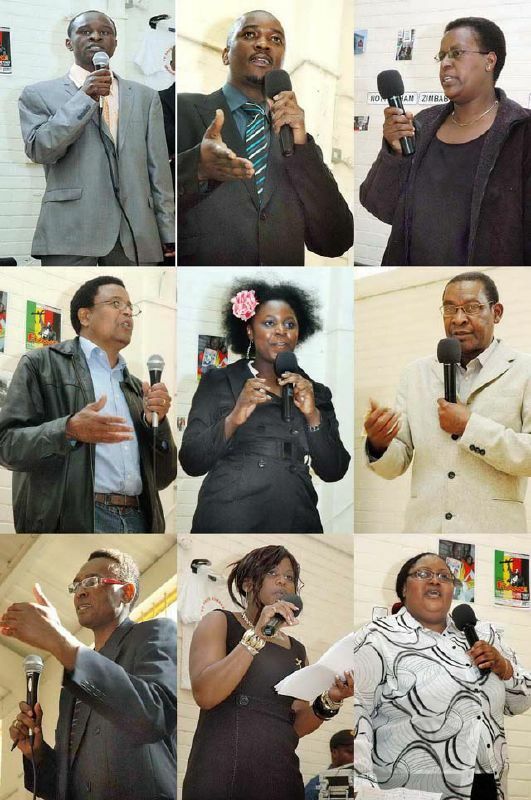 Activists are now being released on bail, to appear in court between the 14th – 21st July, with a variety of conditions. More raids are expected. The initial action was at a school / community centre in Sneinton Dale, and eastern suburb of Nottingham. After all present were arrested and dragged in chains to many and various police stations, the police mounted a long and protracted search of the building, where the meeting had been held. Nothing was happening on the street for ages, much to the medias discontent. Thus, they started to interview each other, and passing locals, just to add a bit of colour, of course. At about midday, there was a flurry of activity, with the arrival of more police vans, and scientific support / scenes of crime and assorted mystery vehicles. Taken together, this amounted to a really significant police presence. you can only image what sort of evidence, and of what, they expected to find. Wardens patrolled the street to reassure the community of course. Access was really hard, to see anything occuring of interest. However, getting away from the front of the building were all others were filming from, managed to find a friendly local who offered me the use of their garden for an overview. Thanks muchly! Police didn’t like it of course, and sent a man away to find a sheet of sommat, to hide behind. 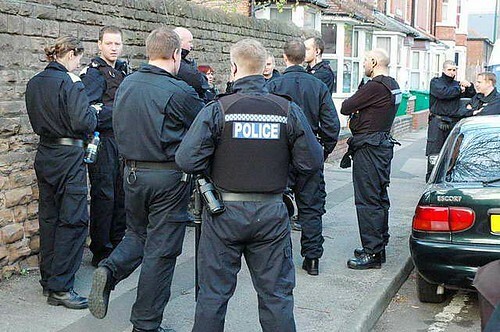 The address of some of those held in custody, were then to be searched under warrant. While chasing about, I knew of 6 locations in Nottingham, and probably many others around the country. I was asked and invited to be at the Sumac Centre, ahead of the expected arrival of the police teams. After visiting other locations, at about 6pm, three van loads of police dressed in full fatigues and large boots, arrived at the gates of the Sumac. The warrant was for particular room upstairs at the centre. The majority of the squad remained on the street. 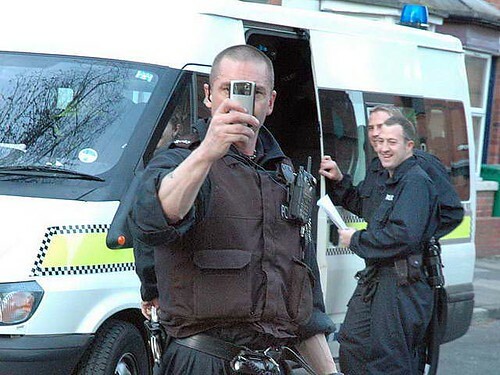 Police could clearly see, that this photographer found the imagery quite oppressive, and the inspector ordered all his troops, back into the vans. Was asked to look into the searches upstairs, to discover there was much interest in the persons paperwork, [including much study of that well known anarchist and subversive free sheet, SchNews]. They stayed for about 30 minutes, leaving with an assortment of papers, and a computer. After some were released, folks headed back to the Sumac centre, to recuperate, and be fed and watered. A debrief. Crash spaces arranged and a deal of sympathy. On leaving, I found 2 police serials continued to cruise the area. I followed about for a bit [wondering what they’re up to]. One then parked outside a housing co-op, and stayed about a bit, generally being menacing. This was one of the location of the previous house searches. They then paid particular interest at the continued comings and going from the Sumac Centre. I guess they’re not finished yet.